New! 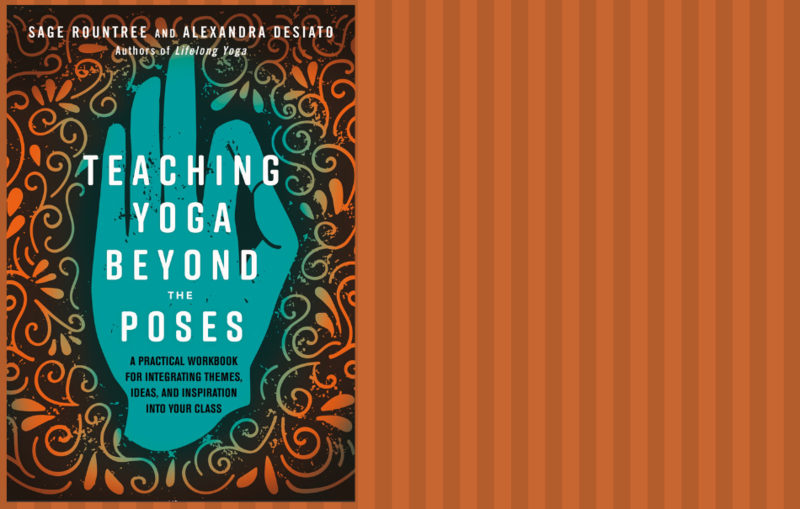 Teaching Yoga Beyond the Poses, a practical workbook to help you integrate themes, ideas, and inspiration into your yoga class. Whether you are a new or an experienced teacher, you'll find what you need to help your students better. Find balance with yoga and feel better in your body. Follow along with the Core Strength for Real People video series online anytime! 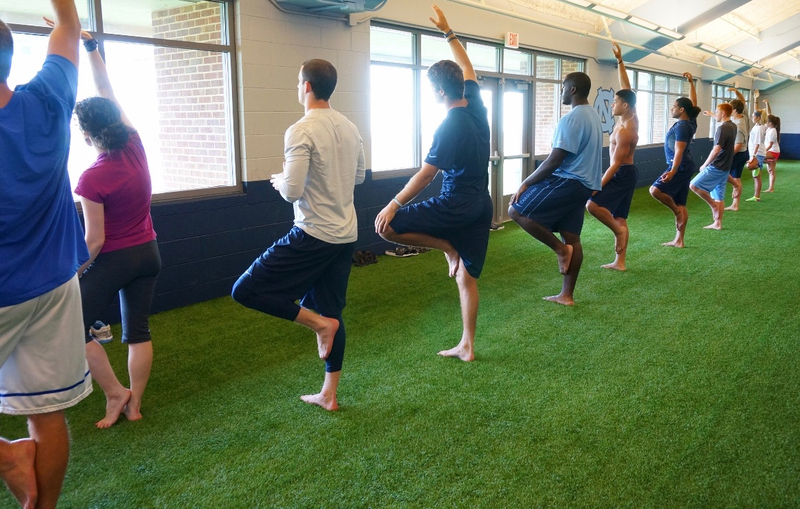 Take your teaching to the next level with Sage's five-day intensive on teaching yoga to athletes, offered in North Carolina in July 2019, at Kripalu in winter 2020, and online anytime. Connect with colleagues, learn to help athletes perform at their best, and plan a clear career path. 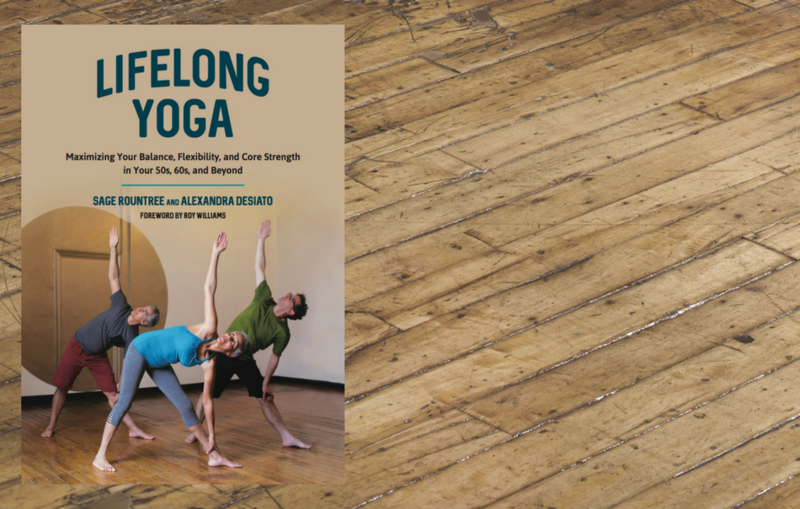 Now available: Lifelong Yoga, with a foreword by NCAA men's basketball national champion coach Roy Williams. Order your copy today. And visit Lifelong Yoga Practice for resources to start or continue a yoga practice that will help you stay in the game at any age. 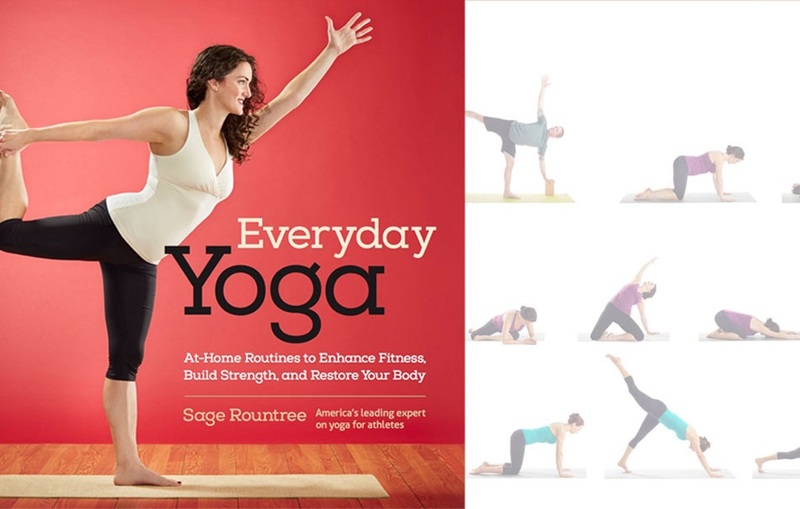 Sage's sixth book, Everyday Yoga, a colorful, clear guide to home practice, is now available in both spiral-bound hard copy and e-book format! Achieve yoga's benefits of strength, flexibility, focus, and balance by practicing a little bit most days—Everyday Yoga makes it easy. You’ll find huge benefits when you do a little bit of yoga most days. The dozens of routines in Everyday Yoga make a good entry point. Sage’s latest book, Lifelong Yoga, shows you how to stay in the game at any age. Prefer video guidance? Sage’s fun Vimeo series Core Strength for Real People and the Everyday Yoga video series on Yoga Vibes will help you feel great in no time! Is this the year you conquer the triathlon or marathon, or step up to a new distance? A well-sequenced training plan is critical for achieving your goals. Sage offers both free plans and plans you can load straight into your TrainingPeaks account. Sage’s books on how to rest, The Athlete’s Guide to Recovery, and how to race, Racing Wisely, will help you recover faster and race to your full potential. Read more . . . Spend a summer with Sage in beautiful central North Carolina and become a yoga teacher or finish an advanced studies program—we have intensives for both the 200- and 500-hour levels, as well as a certification program in teaching yoga to athletes. And at Sage Yoga Teacher Training, you’ll find tools for professional development no matter what your background is. Read more . . .
Now open: a place to take athletic recovery and self-care as seriously as they deserve. Announcing the Hillsborough Spa and Day Retreat! Join us for a treatment or a full day—you can start with a yoga class at Hillsborough Yoga Company downstairs, then get centered, connected, and balanced with a facial, massage, steam, sauna, and quiet time. We are open at 1814 Beckett’s Ridge Drive, Hillsborough, NC. Book a day retreat or a treatment now.